Sanatan Mahakud is an Independent MLA from Champua in Odisha's iron ore-rich Keonjhar district. Unlike him, a majority of people have gained little from the mining projects in the region. In the year 2000, when B Prabhakaran, a contractor from Tamil Nadu, arrived in Keonjhar, it was an amalgam of fiefdoms, with four satraps holding sway over the mineral rich areas. 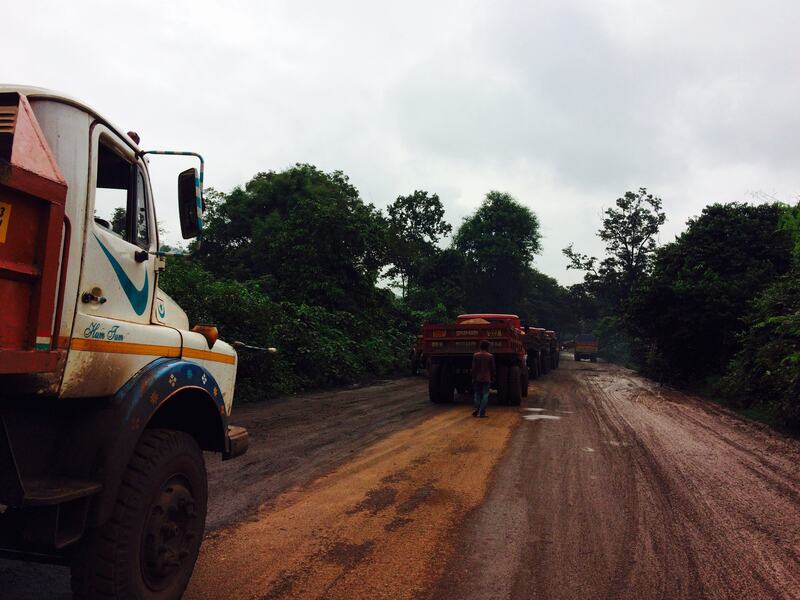 Kusha Apat, a local leader who started out as a truck driver, controlled the villages near Guali. Jitu Patnaik, a miner who became the chairman of Joda municipality, dominated the areas around Joda. Barbil was with Murli Sharma, a local Bharatiya Janata Party leader. 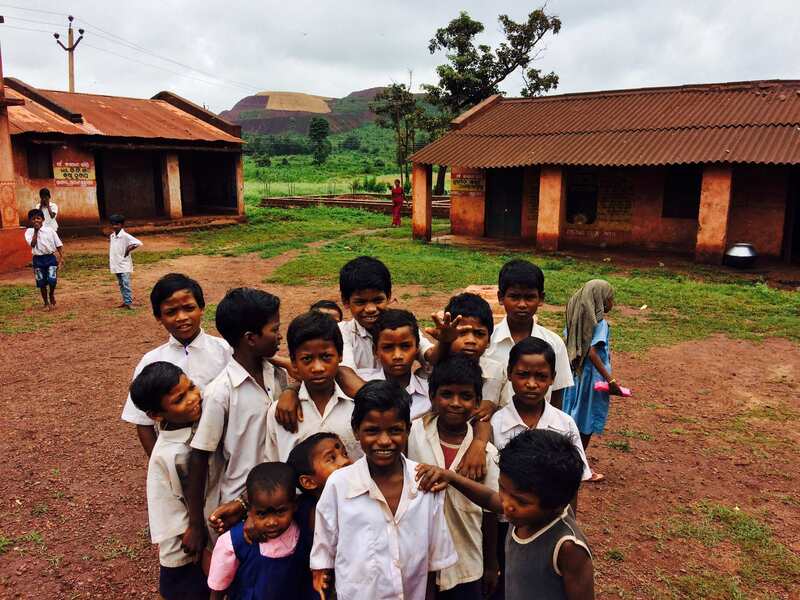 And the liltingly-named village of Unchabali was with Sanatan Mahakud, a union leader who later moved into the business of transporting ore.
As the previous story in this series reported, over the last decade, Prabhakaran rose to become the largest contract miner in Keonjhar. In 15 years, the turnover of his company, Thriveni Earthmovers, torqued from Rs 90 crore to more than Rs 1,300 crore. Simultaneously, Mahakud overtook all the other satraps in the race to become the area’s MLA. Many see the parallel rise of Prabhakaran and Mahakud as more than just a coincidence. According to a contractor who spoke on the condition of anonymity, Mahakud is Prabhakaran's creation, and little more than a henchman who carries out his orders. “Usko Prabhakaran ne hi aadmi banaya. Us se pehle woh kuch nahin tha,” he said. Prabhakaran made him what he is today. He was nothing before all this. As the earlier story reported, there are allegations that Mahakud engineers the disruption of the public hearings of mining projects until the owners sign up Prabhakaran as the contractor. In 2011, two Congress MLAs, Nihar Ranjan Mahananda and Jogesh Kumar Singh, wrote a letter to Odisha Chief Minister Naveen Patnaik alleging “a mining mafia led by Sanatan Mahakud... has taken control of more than 10 mines in Joda mining circle in collusion with raising contractor Triveni (sic) Earth Movers”. Prabhakaran denied the allegation. “In the last five years, I have never taken on any new work where Sanatan Mahakud operates,” he said. Scroll.in tried contacting Mahakud in several ways. Visiting cards were left with employees at his homes in Unchabali and Bhubaneswar asking them to pass them on to the MLA. Several phone calls were made and emails sent to the address provided in his election affidavit. Finally, an questionnaire was left at his house in Bhubaneswar. But there was no response. While Prabhakaran denies any partnership with Mahakud, he had much to say about local satraps. The first private mine that Prabhakaran operated was located in Guali. This was Kusha Apat’s area. Prabhakaran claims Apat asked him for a Rs 50 premium on the market price for trucks transporting ore. Too high, he said, rejecting Apat’s offer. Later that evening, around one hundred villagers came and beat up Prabhakaran’s employees. This takes the form of transport concessions – where the contract for transport, labour, etc, might be handed over to the satraps. This is what everyone does, he said. However, he insisted that Thriveni had no say in the appointment of transport contractors. Another local contractor, however, disputed this claim. In places like Keonjhar, he said, contracts are not awarded on the basis of bid price, but on the basis of local clout. In his meeting with Scroll.in, Prabhakaran took pains to emphasise the outreach work done by Thriveni. According to him, while Thriveni handled the main mining work, it outsourced all ancillary functions, including petty construction, to local villagers. It trained village youth as security guards and helped others buy trucks. This gives the company “social licence”, he said, by which he meant public support for operating in Keonjhar. Prabhakaran claims he helped local youth buy trucks and create new livelihoods in the ore transport business. Go down to the villages abutting the mines, however, and you see how this distribution of wealth is skewed. Mahakud's house, still under construction, is so large it occupies the top of a ridge. Continue down the ridge and you will reach Unchabali. Here, some houses are large bungalows with trucks parked outside. Most others, however, continue to be earthern structures with mud tiles. On the road towards Nayagarh, in another village, people complained that their sarpanch, who is a subcontractor with Thriveni, pays stipend to some villagers, not all. He claimed that before he arrived in the area, “nothing was reaching these villages”. “In these ten years, I can see local people have benefited. The facilities have reached everyone,” he said. But go to the villages and you see more mixed outcomes. At the government primary school at Unchabali, Thriveni’s staff was helping with the construction of a borewell. But in two other villages that Scroll.in visited, common infrastructure like the water tanks was in bad shape. 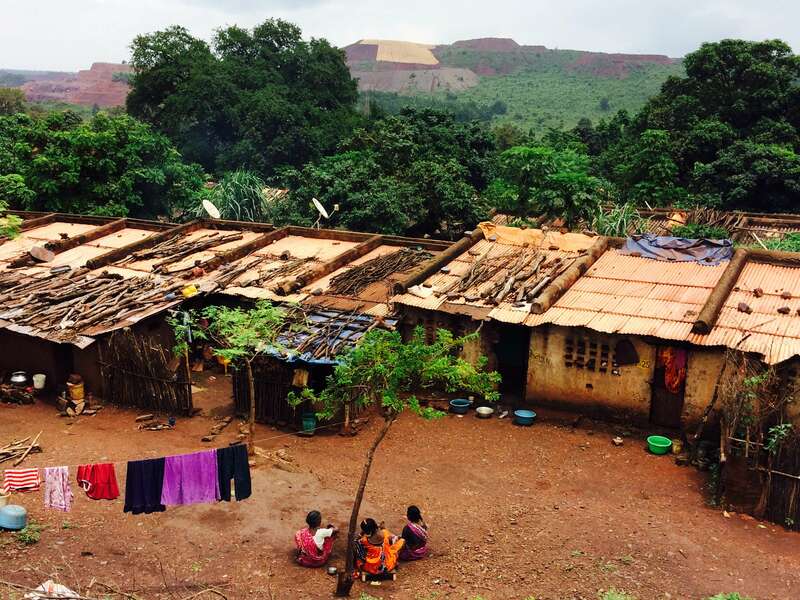 Overburden hills made up of excavated soil loom over a mine workers' colony in Keonjhar. It's a predictable story. Visit most mining landscapes and you see a similar calculus of loss and gain. Embedded here is the question of which side does the state government take. To get an answer, you do not have to look beyond the 2014 assembly elections. As Mahakud stood as an independent candidate in Champua, one of the high cash-generating districts in the country, the ruling Biju Janata Dal put up a local comedian called Tatwa Prakash Satapathy aka Papu Pom Pom against him. Mahakud won handily, defeating Satapathy by about 14,000 votes. Why did the BJD want Mahakud to win? This is the second part in a series on Odisha's mining sector. Read the first part here. 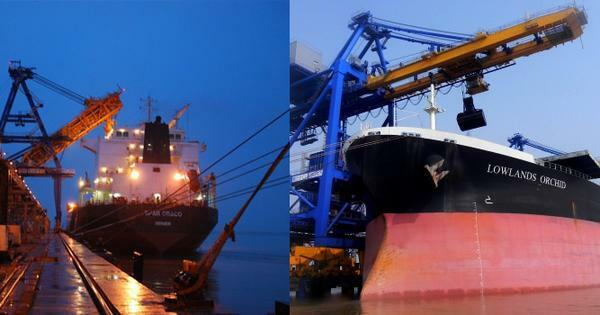 Are India's public-sector ports being weakened to favour Adani Ports?